Who needs a water park? Not this kid! I love toddlers, but when you leave them alone for even a little bit, something always seems to happen. Remember the little girl who painted her brother with peanut butter? Yeah, they were both in on that. She might have done the painting, but he was ALL ABOUT that peanut butter. He had the time of his life. And how about that little kid who pulled ALL the eggs out of the refrigerator and cracked them onto the floor. 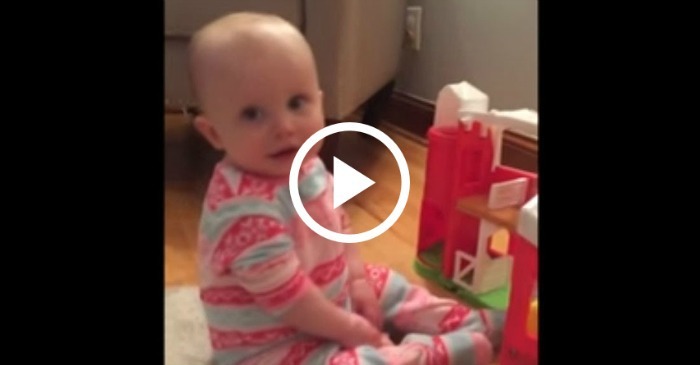 Yup, toddlers are a mess. A. Mess. Adorable, little, sweet, and the reason cleaning supply stocks keep rising. 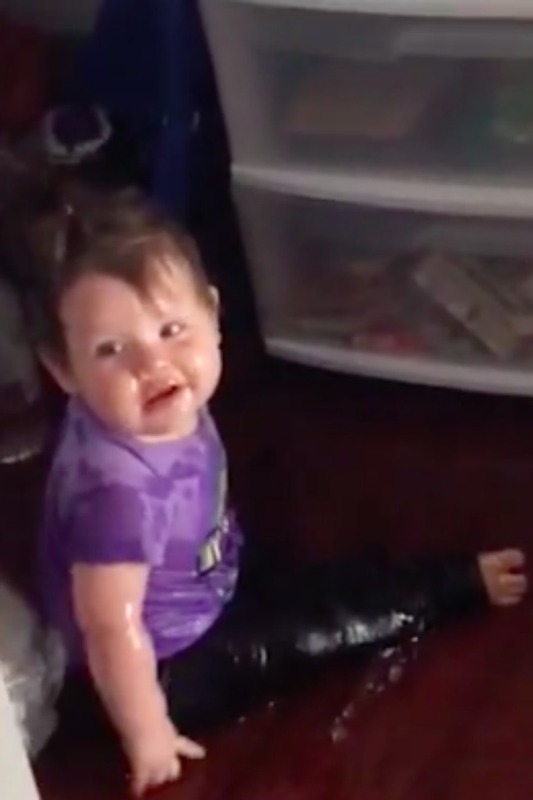 As for this little girl, mom lost track of her for a minute and then found her in the cabinet making her very own Slip-N-Slide out of olive oil. Take a look! All I can say is I’m pretty sure that is NEVER going to come up. Mom might as well put the house on the market and move. It would be easier. And as for baby? Well, she had the time of her life. 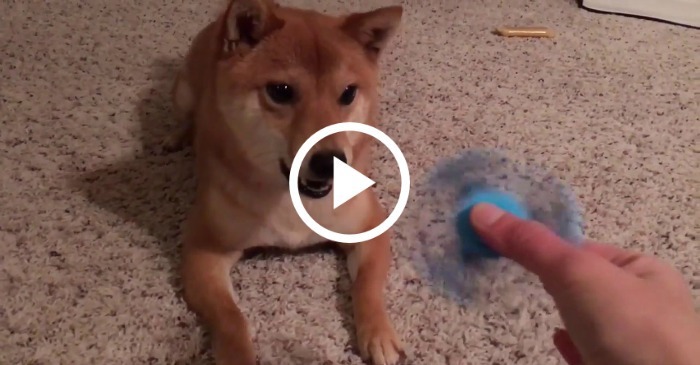 This Dog Does NOT Like Fidget Spinners!